About 11 months ago I posted a blog post about my British Patient with “Wonky Toes”. I’ve had numerous requests to post the after surgery pictures of her hammertoe surgery and I finally have some time to do it. Below is the original article in Blue. Scroll down to the new black text to see the additional information including after pictures. ORIGINAL TEXT BELOW IN BLUE: Link: British Hammertoes are Wonky Toes. A few weeks ago a lovely young woman came in to my office. She sat down with me in my exam room and proceeded to tell me in a wonderful British accent that her complaint was “Wonky toes”. We had a good laugh and I had learned a new term. I asked her if I could blog about her and she agreed (obviously, as you *are* reading this). My guess is that this post will be at the top of the search engines for wonky toes as I bet no one else is writing about wonky toes (at least in the US). 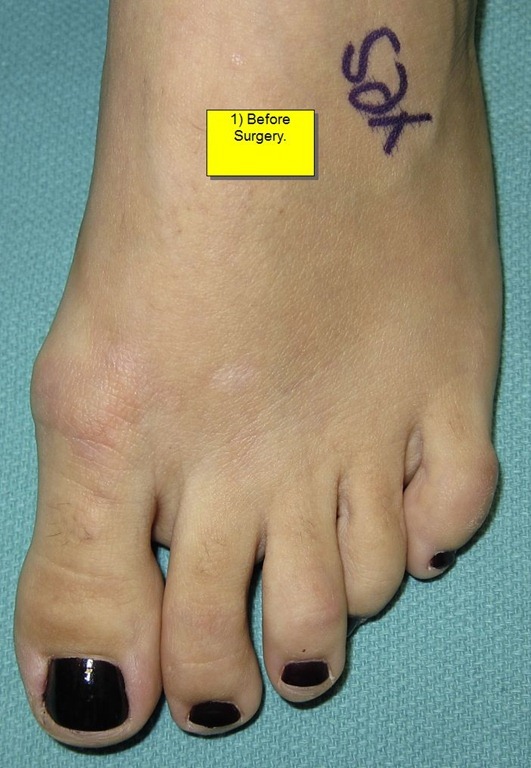 Fixing “Wonky Toes” – Wonky-Hammertoe Surgery. Pictures of her wonky toes are below. I’ll get the before and after hammertoe surgery pictures posted in a few months. This picture (click to enlarge) shows the hammertoes of the fourth and fifth toes. The fourth toe is contracted down and under the third toe. 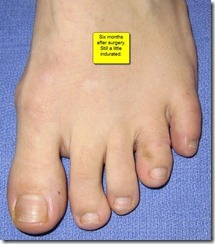 The fifth toe is also contracted and rotated. This is a picture of the same foot (click to enlarge) taken from another angle. You can see the third toe is elevated off the ground from the fourth toe residing underneath it. You can also see the fifth toenail is rotated forty five degrees relative to the ground. I love when people post comments so please do not be shy. I will also personally answer all questions presented. This patient was very happy and satisfied with her hammertoe surgery. She said that the recovery was amazingly pain free. I’ve been treating her postoperatively for almost a year now. Her most recent photographs are from March 7th, 2012. This is 6 months postoperatively. The recovery time for hammertoe surgery in order for the toes to be completely healed and the scar tissue to go down completely is usually around 9-12 months. This patient is scheduled to come back in September. I will post those pictures after her next visit. Thanks for reading. Dr. Silverberg. Firstly, I need to join the many people who have thanked you for your comprehensive and informative website. A couple of questions: Does this client have a mild bunion or is the slight lump normal? My left foot looks quite similar and I haven’t been sure whether it qualifies as a bunion or not. I note that you are very negative about toe spreaders, however, my experience has been more positive – in combination with going barefoot whenever I can (now including running) I have completely resolved the relatively minor wonkiness of the toes on my left foot and made significant progress on my right foot. This makes sense as I’m sure my toes became deformed from the shoes I’ve worn and reversing those pressures would be expected to go some way to also reversing the deformity. But it seems to me that I will never be able to get rid of the bunion on my right foot even if the toes were to return fully to their correct position since part of the protuberance is actually an increase in bone – is that right? Having said that, it seems from your site that there is an option of just shaving away the excess bone. 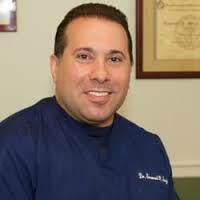 Does this procedure have reduced risks relative to more invasive surgery and is the recovery time reduced. I should admit that I have no pain and any surgery it would be for cosmetic reasons – it is frustrating having come so far in improving my foot health not to be able get rid of the remnants.